As the bride-to-be, odds are you have been making plans for your perfect wedding day since you were a little girl. The simple fact is that most women already have what constitutes the perfect wedding day firmly fixed in their minds. However, reaching this lofty goal can be more than just a little challenging unless you have a secret weapon at your disposal. In recent years, wedding sparklers have become this amazing new trend and are the perfect way to make sure your wedding day stands head and shoulders above the rest. One of the reasons there are so many different types of wedding sparklers for sale and that they have become so popular is that they allow all of your guests to become involved in the celebration. Today, the average wedding party has over 100 guests, making it truly challenging to get everyone all on the same page at the same time. When you buy a selection of wedding sparklers for your guests, you are letting your guests know that you were thinking of them and that you want your wedding to be something a little out of the ordinary. Perhaps instead of leaving a simple gift at each of your guest's place settings, you might take a look at the different sparklers for sale and place one at each seat instead. This ensures guests have something they are sure to remember about your wedding. Most of us played with simple sparklers when we were kids. These consisted of a simple metal rod that measured approximately 10 inches long and burned for about 30 seconds. Today's wedding sparkles measure 10", 20", or 36" long and will burn brightly for up to 3 1/2 minutes. Most of the sparklers for sale today burn completely smokelessly and can be used indoors or outside (be sure to check with your venue owner first). Not only are wedding sparklers a fantastic way to get your guests involved in celebrating your special day, they can be used to create amazing ambiance for many of your wedding photographs. When you are taking pictures inside, they can be used create a wondrous glow as your guests hold them aloft above you and your groom. 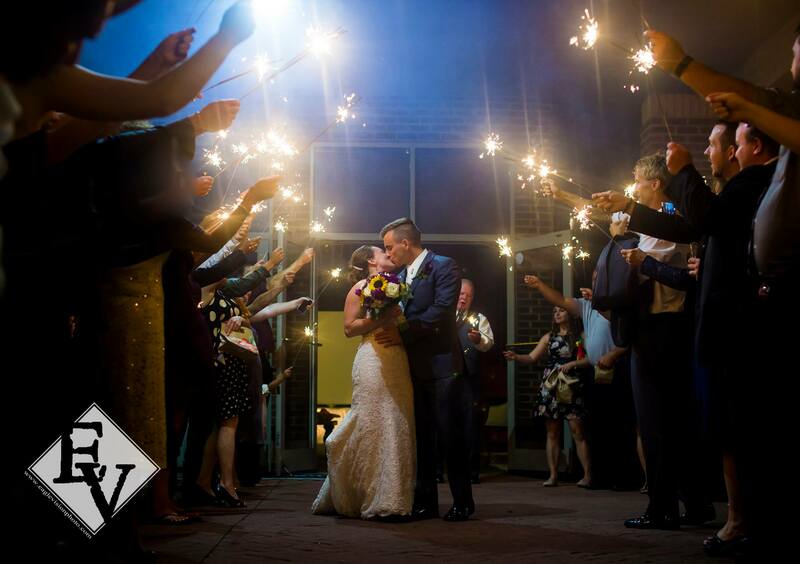 Once you move outside, you can use wedding sparklers to add brilliant light to the photographs and then form a tunnel through which you and your groom can make your final exit as you head off into the sunset for your honeymoon. There is simply no better way to create a unique and unforgettable day than the use of numerous wedding sparklers. Chances are good that you will be one of the first, if not the first, member of your family or friends to make use of wedding sparklers. Be a trendsetter - make wedding sparklers part of your special day!